Franklin High School thespians will be heading to Columbus for the State Thespian Conference held this upcoming weekend. Twenty students and three faculty members will travel to this annual event. 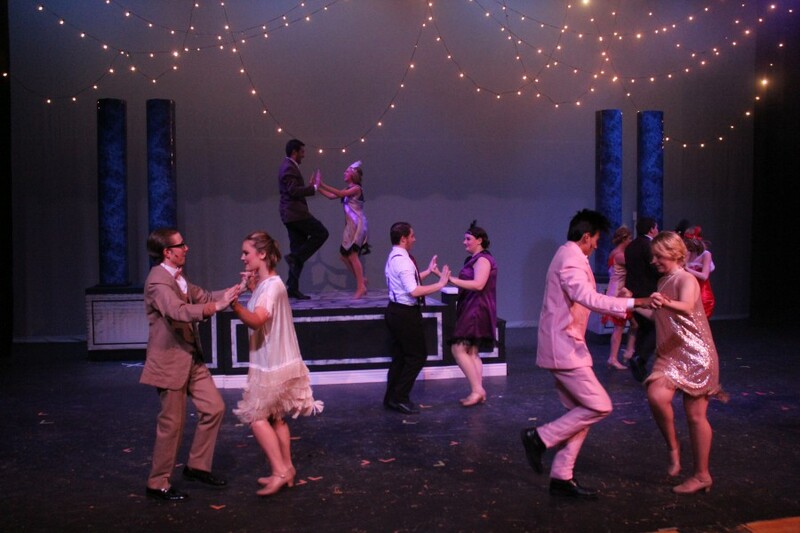 In an additional honor, the high school's fall production, The Great Gatsby, was selected to perform at the conference. This provides our students the opportunity to learn more about the performing arts and to showcase the talent here at FHS. Special thanks to the director, Mr. Jeff Sams, for all his hard work in making this opportunity possible. "We joined a group of nearly 1500 students and teachers at Dublin Scioto High School this weekend for the event. We were honored with plaques for our participation and the performance of THE GREAT GATSBY. Our students played to a sold out crowd on Saturday night and received a standing ovation. Our excerpt received at 4.5/5 rating from students and educators who attended, which was much higher than some of the other shows that performed on the main stage. I don’t think I have ever been more proud of a group of students. They ran the entire show themselves, including all the tech elements, and gave a first rate performance. Tim Guth, Annette Looper, Chris Newman, Zach Katris, Kelly Brock, Kimberly Daly, and David Mills all worked very hard this year to ensure this process ran smoothly. I would also like to thank the parents who transported students to Columbus from the choir contest in Eaton."